Figure 1: Spectra of absorption coefficient, 1/cm, at histologically relevant concentrations of water, hemoglobin (Hb), oxyhemoglobin (HbO2) in sub-epithelial and sub-epidermal soft tissue, and: thermal relaxation time (TRT) msec; short pulse ablation threshold fluence, Eth, J/cm2; and short pulse photothermal coagulation depth, H, mm. B is gingival blood vessel diameter. Diodes are hot glass-tip cautery devices.9 Near-IR wavelengths increase the “initiated” (blackened, charred) distal end of the fibreglass tip to 500 to 900 C9 and conduct heat to soft tissue. Soft tissue ablation and coagulation efficiencies are influenced not only by absorption/attenuation spectra, but also by laser pulse duration and tissue thermal conductivity. The rate of how fast the irradiated tissue diffuses the heat away is defined through the thermal relaxation time (TRT), which equals approximately 1.5 msec for CO2 lasers (see Figure 1). The most efficient heating of the irradiated tissue takes place when laser pulse energy is high and its duration is much shorter than TRT. The most efficient cooling of the tissue adjacent to the ablated zone takes place if time duration between laser pulses is much greater than TRT. For instance, short pulse super pulse CO2 lasers allow for the most efficient ablation of the irradiated tissue with minimum coagulation and hemostasis underneath the ablated tissue. The long pulse and continuous wave (CW) CO2 lasers are less efficient cutters but provide for greater depth of coagulation for excising/incising in highly vascular and inflamed tissues such as hemangioma. 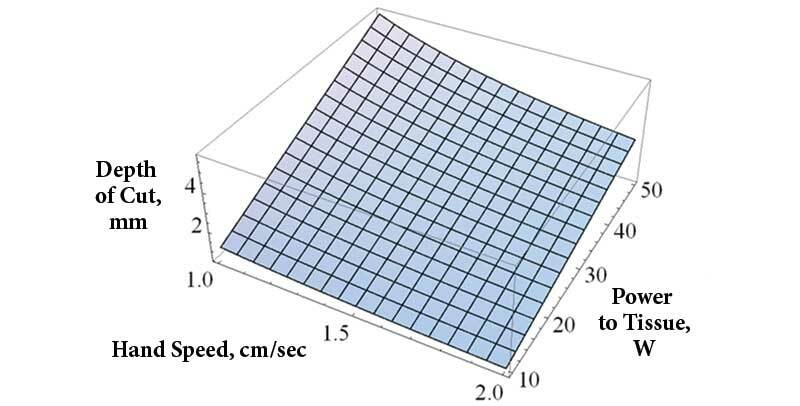 Figure 2: Calculated depth of incision with 0.25-mm focused CO2 laser beam (0.05 mm2 focal area) through the 75 percent water-rich soft tissue, for different super pulse power levels 10 to 50 Watt and different handspeed 10 – 20 mm/sec. Multi-millimeter incision depth at hand speed 10 mm/sec and faster is only feasible with laser power above 35 to 45 Watt. Inversely proportional to laser beam width and surgeon’s hand speed. 10 mm/sec is laser power above 35 to 45 Watts (VetScalpel CO2 laser model VS-4530 is used in surgeries presented in this paper). Adjustable laser beam geometry: 0.25, 0.4, and 0.8 mm diameters, and 0.4×2.5 mm2 “paintbrush” wide ablation. Figure 3 shows the latest generation of CO2 laser handpiece technology that allows for easy switch between four different geometries of laser beam on the target tissue. Handpiece is easy to clean and autoclave. Small incisional diameters 0.25 and 0.4 mm, combined with high power of VetScalpel CO2 laser model VS-4530, allow for high speed, deep cutting, e.g., full-skin-depth incisions, high-speed amputations, etc. Larger sizes 0.8-mm diameter and 0.4-by-2.5-mm2 rectangle, combined with high-laser power, allow for high speed, large area, superficial ablation of lesions. Large beam size = sub-mm shallow vaporization/ablation. 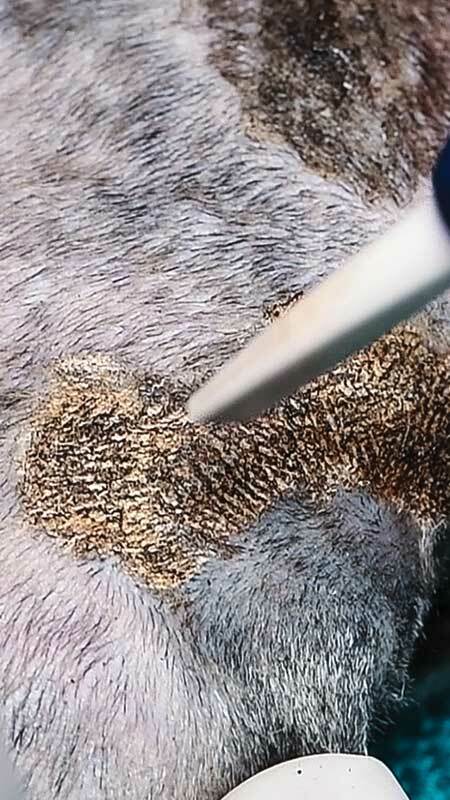 VetScalpel wide ablation nozzle, displayed in Figures 3 through 5, features approximately a 2.5-mm-by-0.4-mm large spot area of approximately 1 mm2. Such wide ablation nozzle, shown in use in Figures 4 and 5, allows for approximately 2.5 mm wide pass of the laser beam over the target tissue with sub-mm depth of ablation. Wide ablation beam area is 20 times larger than focal area of a 0.25-mm diameter beam in Figure 2, which allows for up to 20 times shallower ablations at high power with fast handspeed. Figure 3: VetScalpel adjustable handpiece with wide ablation nozzle (on the left) and adjustable nozzle (on the right). Nozzles are inter-changeable for ease of use and convenience. Small beam size = multi-mm deep incision. 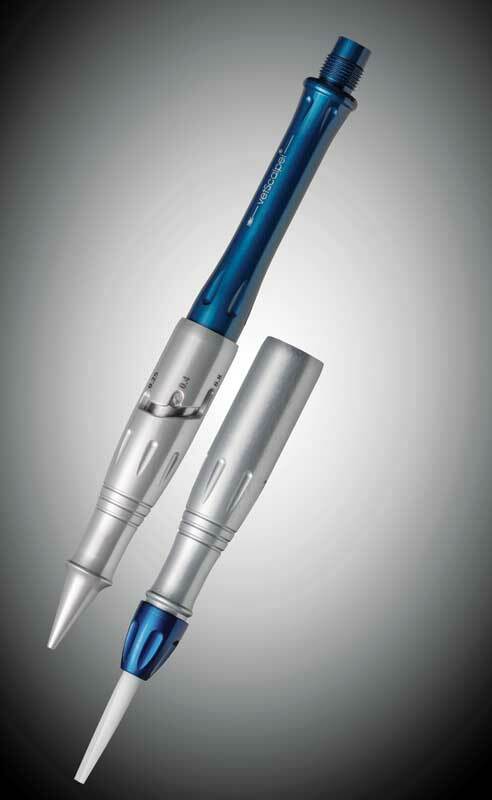 VetScalpel adjustable handpiece, displayed in Figures 3 and 6, features three spot-size diameters 0.25, 0.4, and 0.8 mm. The smallest focal area of 0.05 mm2 (20 times smaller than wide ablation nozzle laser spot area) is used for fast, multi-mm deep, 0.25-mm narrow incisions (illustrated in Figure 2) with char-free margins when super pulse mode is utilized for the most efficient cutting (Figure 6A). Adjustable handpiece allows for instant switch to a larger spot size of 0.8 mm diameter with 0.5-mm2 area (10 times larger area than for a 0.25-mm spot) for a shallow coagulation when CW mode of operation is utilized (Figure 6B), or for shallow ablation with super pulse mode of operation. 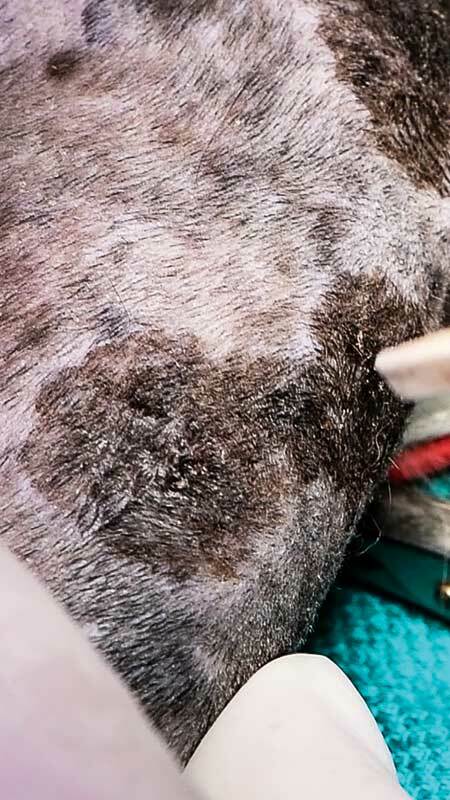 Coagulation occurs as a denaturation of soft tissue proteins that takes place in the 60 to 100°C temperature range3-5 leading to a significant reduction in bleeding (and oozing of lymphatic fluids) on the margins of ablated tissue. Photothermal coagulation also is accompanied by hemostasis due to shrinkage of the walls of blood and lymphatic vessels resulting from collagen shrinkage at increased temperatures. For super pulse CO2 lasers, the sub 100-µm5,7 coagulation depths (see Figure 1) extend just deep enough into severed blood vessel capillaries to stop the bleeding; coagulation depth can be extended for longer laser pulses and for CW laser operation. 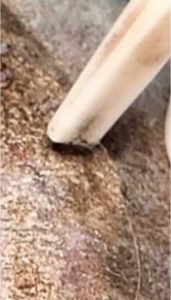 Sub-100 µm coagulation/hemostasis depth, which closely matches the blood capillary diameters.5 It allows for an instant hemostasis during high-speed ablation/cutting. It affords the clinician with the improved visibility of the surgical field and therefore allows for more precise and accurate tissue removal;7 coagulation depth can be increased by utilizing a long pulse or CW laser operation. 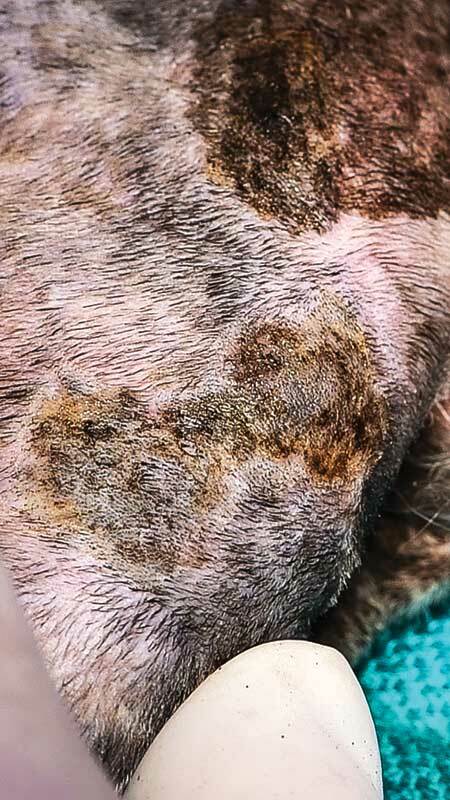 Minimal post-operative pain, discomfort, swelling, and edema; significantly reduced post-surgery production of myofibroblasts; diminished wound contraction and scarring. 1,2,11 As observed in our surgeries, healing with the CO2 laser is markedly different from the other surgical modalities, it is uncomplicated and predictable. Duclos DD. CO2 laser excision of skin tumors. Veterinary Practice News. 2014;3:32-33. 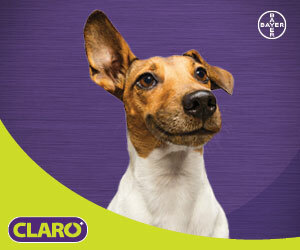 Vitruk P. “How CO2 lasers cut, coagulate soft tissue”, Veterinary Practice News. 2014;12:36-37. Fisher JC. 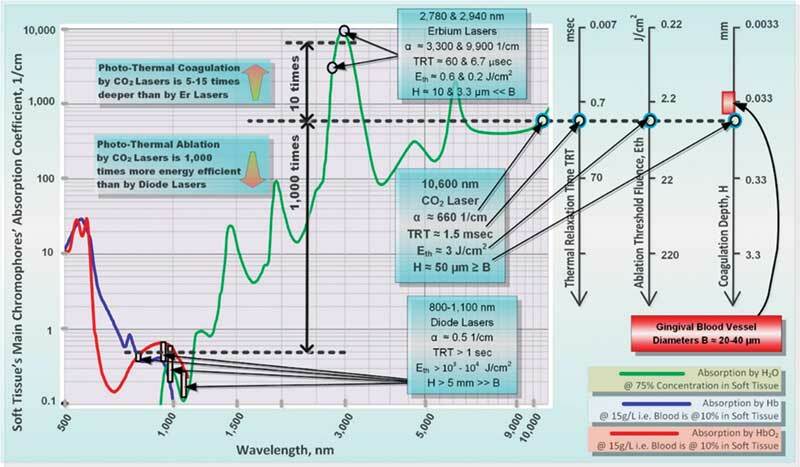 Basic laser physics and interaction of laser light with soft tissue. In: Shapshay SM. ed. Endoscopic laser Surgery Handbook, New York, NY: Marcel Dekker. 1987:96-125. Fisher JC. Qualitative and quantitative tissue effects of light from important surgical lasers. In: Wright CV, Fisher JC, ed. Laser surgery in gynecology: a clinical guide. Philadelphia, PA: Saunders. 1993:58-81. Vitruk P. Oral soft tissue laser ablative and coagulative efficiencies spectra. Implant Practice US. 2014: 7:6. pp. 19-27. Vogel A, Venugopalan V. Mechanisms of pulsed laser ablation of biological tissues. Chem Rev. 2003:103:2. pp. 577-644. Willems PWA, Vandertop WP, Verdaasdonk RM, van Swol CFP, Jansen GH. 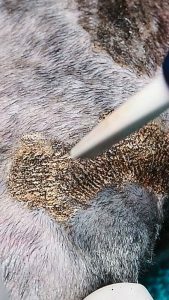 Contact laser-assisted neuroendoscopy can be performed safely by using pretreated ‘black’ fibre tips: Experimental data. Lasers in Surgery and Medicine. 2001;28(4):324-9. Vitruk P. Laser Education, Science and Safety – A review of dental laser education standards. Dentaltown. 2017 June;17(6):62-67. Duclos DD. Canine fibroadnexal hamartomas treated by CO2 laser excision. Veterinary Practice News. 2015;6:32-33. Strauss RA, Fallon SD. Lasers in contemporary oral and maxillofacial surgery. Dent Clin North Am. 2004:48(4):861-888.